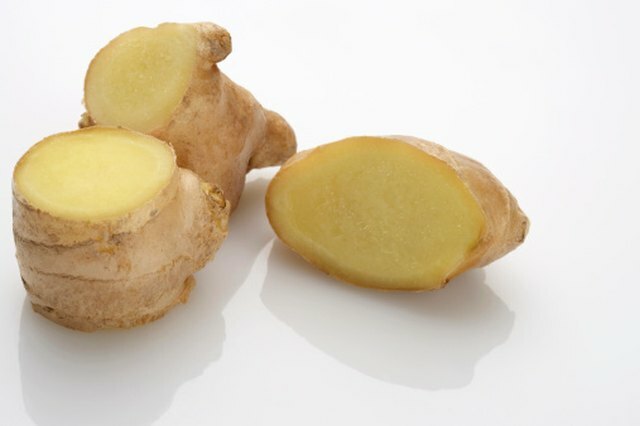 You can boil ginger root to make ginger tea as an herbal remedy. Ginger tea is thought to aid in the cure of stomach acid, dizziness, arthritis and many other common problems. Ginger is also believed to have anti-parasitic effects which is why ginger is often used in Japanese meals containing raw fish. For example, pickled ginger is often served with sushi. 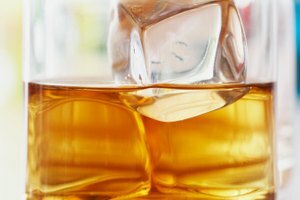 You can also add sugar to ginger tea or cool it and mix it with club soda to make homemade ginger ale. 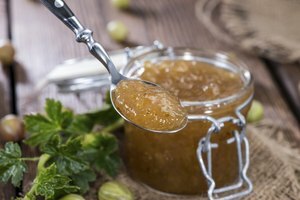 Fill a sauce pan with water and bring it to a boil over high heat on the stove. Peel the ginger root with the paring knife by removing only the golden tan smooth exterior of the ginger root. Grate 1 1/2 tsp. of ginger on the largest grate openings and place it in the saucepan to boil. Remove the pan from the heat. Allow the ginger to steep in the boiling water for 10 minutes. Place the strainer over the mouth of the mug and pour the ginger tea through the strainer to the mug. 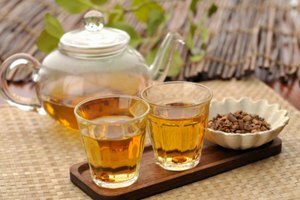 Drink the ginger tea and use the ginger in the strainer as a salad topping once it has dried or coat it in sugar and mix it with trail mix as a snack. Add sugar to taste if you plan to drink the boiled ginger tea alone. 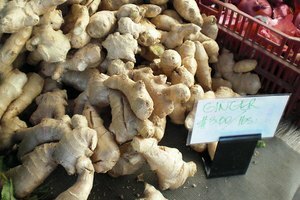 You can also boil ginger root in sugar and water to make sweet candy ginger for eating as a snack or for use as an herbal remedy. Sarah Davis has been a culinologist since 1998. She has worked in the offices and labs of Burger King, Tyson Foods and Cargill developing and writing recipes. She currently owns WISH Events in Atlanta. She and her husband also buy homes to rejuvenate and resell. Davis holds degrees from Johnson and Wales University in culinary arts and the University of Georgia in food science. 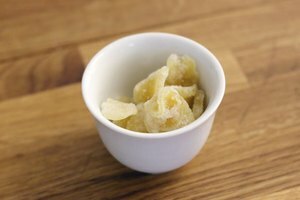 Can You Eat Ginger Peel?